Bobrisky is likely to meet two fighting giants in Dubai. 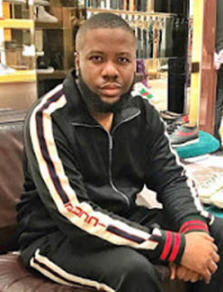 The world already knows Hushpuppi and Mompha live in Dubai and ofcus also knows they are ENEMIES. The two who were very close and best of friends, have been putting their big fights out there with constant shades! Though their friends at a point tried it call them to other, it still didn’t make the one time best pals come together. In case you need to know… 1) Bobrisky is good friends with MOMPHA and ofcus there’s no way MOMPHA won’t be hosting Bob in DUBAI! 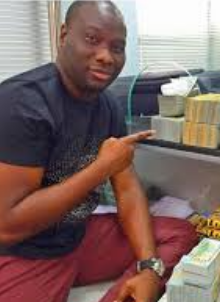 2) Hushpuppi and Tonto Dikeh are so close they could publicly kiss and onlookers will applaud them knowing they are best of pals and have each other’s back! How will Tonto be in Dubai and won’t meet up with Hushpuppi! No… It’s going to be a PARTY! 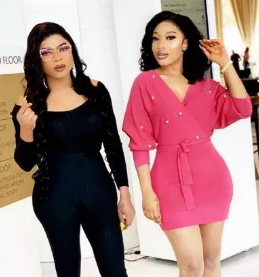 So now, Bobrisky is in Dubai with Tonto, and ofcus, they have been hanging out together despite Tonto is there on a business trip. So how does Hushpuppi host Tonto without Bobrisky’s presence? Will that make MOMPHA beef Bob and eventually let that get into their relationship? Time will tell. Ladun why tell us this? Is it your Forum? Loooooooool. I kid!